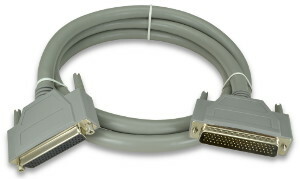 Use these cables to interconnect equipment which utilizes 78-pin DSUB connectors. These attractive cables feature 78-pin DSUB connectors on each end, overmolded ends with strain reliefs, and a shielded cable jacket. Two cable lengths (2.5 feet and 5 feet) are offered. 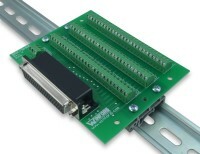 These cables are compatible with Winford Engineering's 78-pin DSUB breakout boards. All cables ends have thumbscrews installed. The female cable ends come with jack sockets screwed onto the thumbscrews (see photos). These jack sockets allow a secure connection to a male cable end, as the thumbscrews on the male connector can thread into the jack sockets on the female end. Note that the jack sockets can be removed from the female connectors if desired, thus leaving standard thumbscrews. 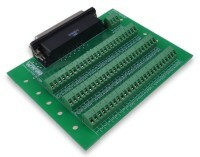 These 78-pin cables are compatible with Winford Engineering's 78-pin DSUB breakout boards, shown below.